Moderate to heavy showers are moving through this morning. With strong winds present, this will make rain seem to be falling harder and may reduce visibility at times. Temperatures are in the upper 40s and low 50s, but they will be dropping rapidly through the morning as a cold front will be pushing through from west to east. This cold air could cause rain to transition to possible light snow, sleet, or freezing rain during the first half of today. Any snow accumulations will range from none to a dusting. Winds will be dying down through the day as this system will move off to the east. 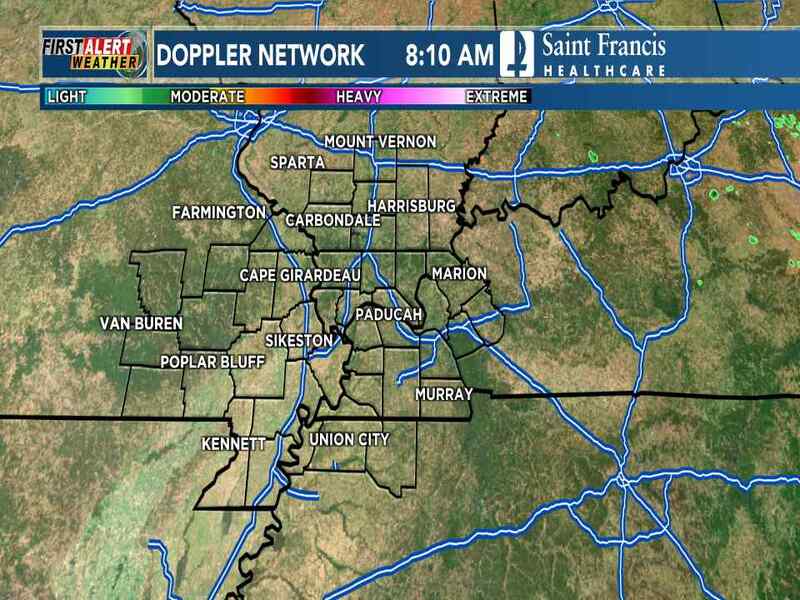 All precipitation is expected to end before the late afternoon. Clouds will thin and move out late tonight with low temperatures in the low 20s. Another shot of very cold air will enter on Friday morning. We have a chance of seeing some light snow on Saturday, but another system could bring snow early next week which we will keep an eye on.